In the early 20th century the main timber mill at Taranna, on Tasmania’s Tasman Peninsular, was owned by Messrs. Jones and Hay Pty. Ltd. Like most businesses, it was going through hard times during the Great Depression. The workforce had been severely reduced, and the remaining men were responsible for the day to day running of the mill and maintenance of equipment. The men were paid piecework, receiving a bonus if they exceeded their fortnightly quota of milled timber. A feature of the operation was a tramway. 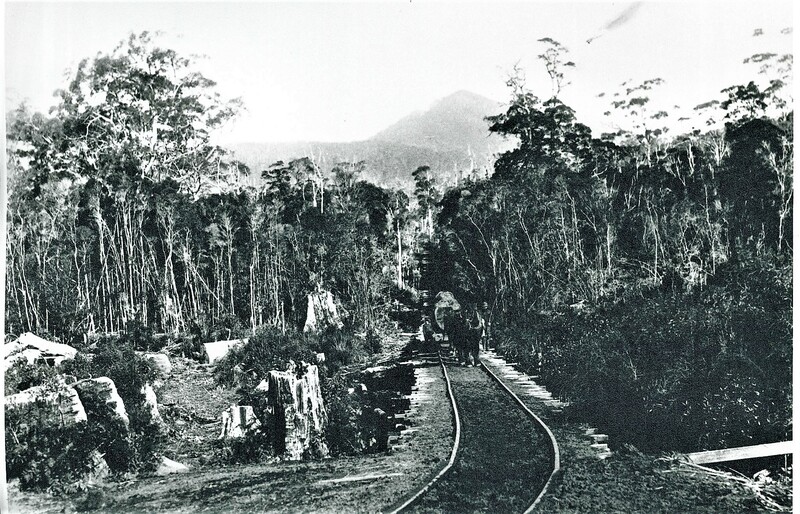 Horses would haul the trolleys up into the bush, where fallen trees would be loaded. The descent to the mill was by gravity, with men riding on the logs. On July 23 1929 there was terrible accident. 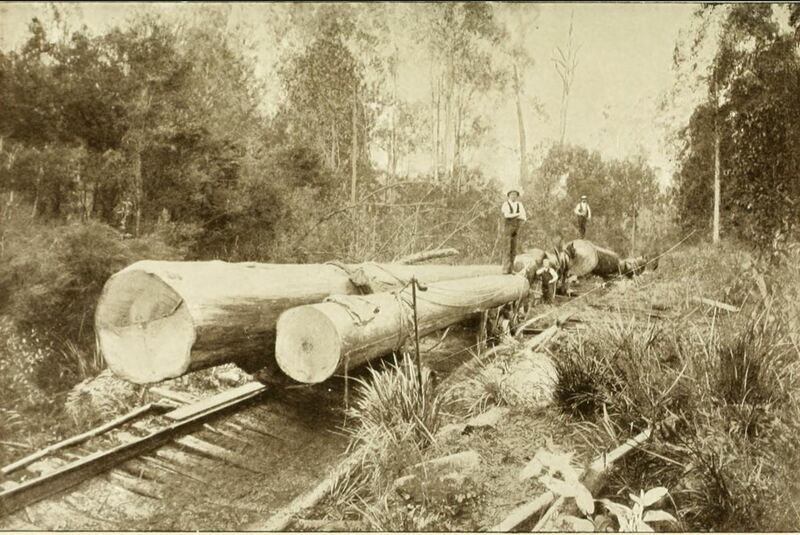 A log measuring 68ft and with a girth of 11ft was being transported on the tramway when the front trolley derailed. The log rolled off crushing and killing two men, Cyril Wellard and Leonard Booth. Both were married, with children. It was discovered that where iron rails butted against a section of wooden railing, heavy rain had caused subsidence, leaving a fatal gap of some 15 inches. Coronial inquests were held, concluding on August 10. It was noted that allowing the gap in the rails to remain was a lack of judgment, but that the deaths were accidental. 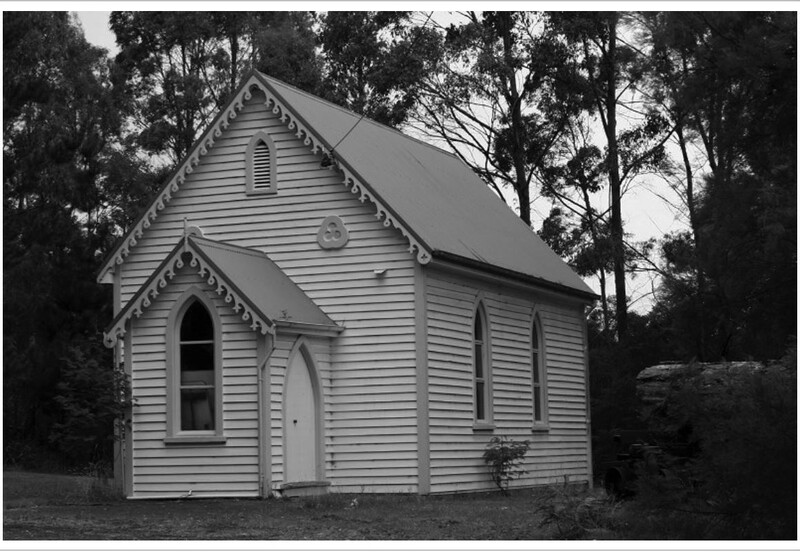 The small community at Taranna was devastated by the loss of life. A memorial service was held at the Congregational Church, and a fund set up to support the bereaved families. Cyril Wellard’s wife (who had a 14 year old daughter) asked that her share be given to Leonard Booth’s widow, the mother of five young children. A place to mourn and seek comfort. On the night the inquests concluded, fire broke out at the mill. It was first noticed at 2.00am. Several employees rushed to the site, but the intensity of the flames was such that they were unable to save the huge building. Fortunately, eight horses housed in nearby stables were released, and valuable timber stacks were saved. Nevertheless, damage was estimated at six thousand pounds. Until the mill could be rebuilt, the 20 men who had remained on Jones and Hay Pty. Ltd’s reduced workforce would be unemployed. For one man in particular, Clarence ‘John’ Freeman, this was a disaster. On January 15, 1924 Freeman had experienced the trauma of fire himself. His home and its contents at Taranna were destroyed. At the time, Freeman had a wife and four young children. He was regarded as hardworking and respectable and was generously supported by his friends and neighbours. By the time of the mill fire his family had grown to seven, and his young wife Grace was again expecting This time it was a very difficult pregnancy, and doctor’s bills were adding up. Soon, John Freeman would be in need of more help than anyone could possibly have imagined.